Xiaomi today released it's first dual camera lens device and also it's first Android One device which is priced competitively at Rs14,999. This device comes with Stock Android Operating System and not MIUI. And the best part is, it's MADE IN INDIA. However Xiaomi Mi A1 is available in only one variant, i.e 4GB RAM and 64 GB Internal storage.It will be available on Flipkart and Mi.com from September 12 (12pm onwards). This device comes with Android 7.1.2 out of the box with August 1,2017 Security Patch update. And also Xaiomi has promised Android Oreo update for this device which will be available in couple of months. 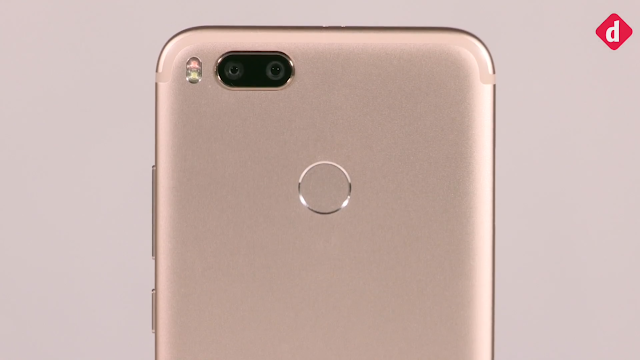 Best part of this device is it's dual camera, it sports two 12-megapixel sensors at the back, one with a wide-angle lens and f/2.2 aperture, and the other with a telephoto lens and f/2.6 aperture.Mi A1 will be availble in 3 colors Black,Rose Gold and Gold.